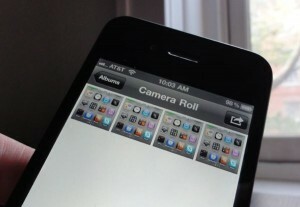 Ever wanted to take a quick snapshot of your iPhone’s display? Or have you taken a screenshot by accident, without quite knowing how you did it? Well, taking a screenshot on the iPhone (or iPad, or iPod Touch) is a nifty, easy trick—so easy, in fact, that more than a few puzzled readers have written in, wondering how snapshots of their iPhone’s home page wound up in their mobile photo albums. Here’s what you do: press the “sleep/wake” button (it’s on the top edge of your iPhone) and the “Home” key (the one below the screen) at the same time, then release both right away. You’ll find your new screenshots sitting in the Camera Roll on the Photos app. Snap! 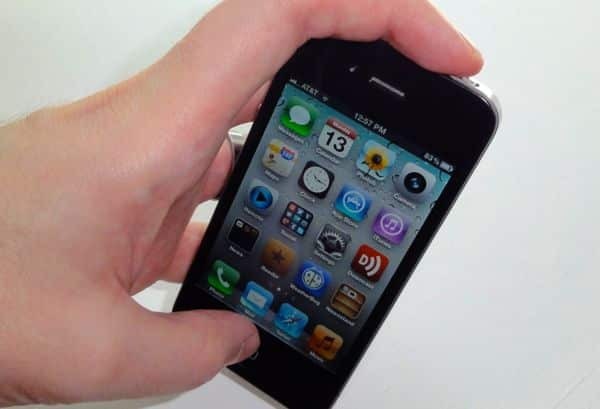 Your iPhone, iPad, or Touch will make a shutter sound, the screen will flash for an instant, then everything will return to normal. So, where’s the screenshot? Just open the Camera app, then click on Camera Roll—you’ll find it right there. One more thing: if you press and hold the sleep/wake button and the Home key for too long, your iPhone will try to reset itself. In that case, don’t panic; just press the “Cancel” button when the red “Slide to shut off” slider appears. Looking for more iPhone tips and how-tos? Click here! Note: This tip was originally written for iOS 6, but it still works fine in iOS 7.